In an effort to help facilitate communication between residents and developers in Riverdale, we have set up a page where residents can share their feedback and developers can also share their concepts and connect to engage. 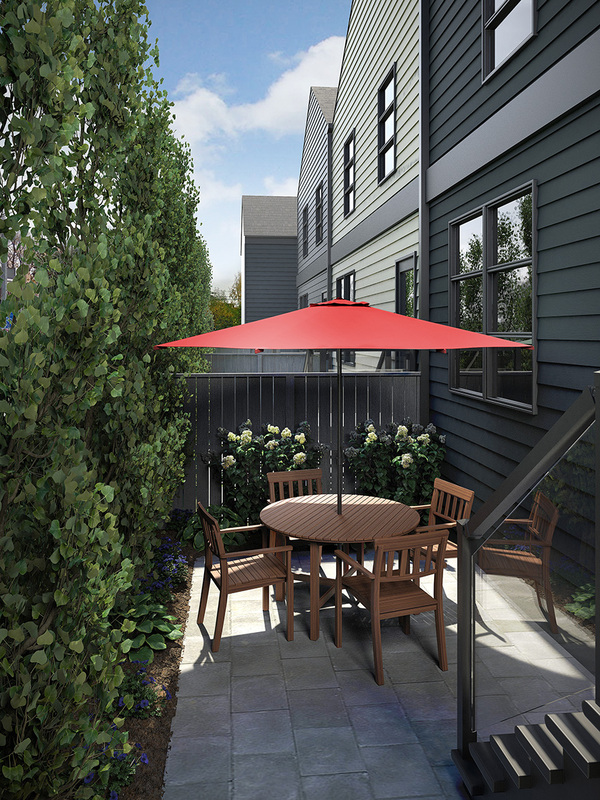 If you have an open house or would like to share your development please email a Planning Director on the Contact page. That Administration provide a report on options and feasibility for affordable housing, in consultation with the community and affordable housing providers, on the Riverdale City-owned site outlined in the April 30, 2018, Financial and Corporate Services report CR_5600. The Motion is directed to the City’s Financial and Corporate Services department, and is “Due by: Nov. 15, 2018.” We understand that the City Administrator in charge of the file is Tim McCargar (contact info below). The minutes of the Executive Committee meeting, incl. video, can be found here (click on agenda item 7.1). There is also a report on p. 4 in the June issue of The Riverdalian. There are few areas in the Riverdale ARP that discuss the opportunity of these sites. These are excerpts from the document, which should be read in its entirety. Objectives: Prepare City-owned lands for residential development by dealing with legal, administrative and environmental constraints to development. Objectives: To continue to provide the opportunity for low cost affordable housing to be built in Riverdale in a manner consistent with the objectives and policies of this Plan. Policy 3.7.1 The City Housing Commission will hold the property shown on Map 5 for the provision of low cost affordable housing until December 31, 1995. Policy 3.7.2 The City will continue to maintain and rent existing City owned houses in Riverdale, as shown on Map 5, until the end of their economic life. After this time, the feasibility of redeveloping these properties for affordable housing will be examined. There is an ad hoc committee of the league that is helping with community consultation and the feasibility investigation on this site. You may also contact the League's Planning Directors or President via the Contact page. On July 26, league representatives met with Tim McCargar to get an update about community engagement process that is part of the April 30 Executive Committee motion. City Admin has developed a public engagement Strategy and shared it with us on September 7, 2018. We collected your input into the strategy until September 30th. On October 1, 2018, league members met with City Admin to provide input into the strategy, including your questions and comments. The City held an Information Session on January 26, 2019 and a Public Engagement Session on February 2, 2019. 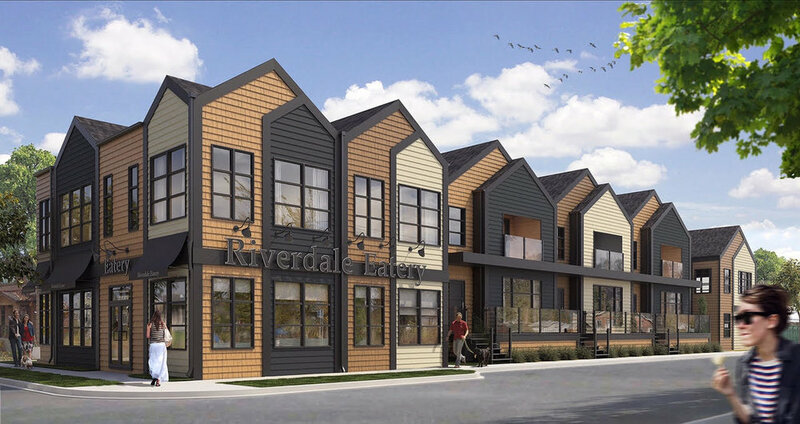 The result of this consultation with the Riverdale Community is the Riverdale Redevelopment Opportunity - Expression of Interest Package, directed at potential developers of the City-owned properties on 92nd Street. The applicant is a local Riverdale resident and has already approached the Community League and held an open house on May 11th to share ideas. For more information please use the contact and feedback form below. Richmond Park Developments has reached out to the Riverdale Community League and is currently begining their consulation process, they are planning on having an open house to share ideas in the future. The City of Edmonton has started a master plan process to establish a 25-year vision and management plan for the park. You can find the city's website here and the final concept plan here. Riverdale Community League, in January 2018, passed a motion that established an ad hoc committee to work with the city on improving the master plan. The Committee developed a draft brief about the plan, and invited and incorporated community feedback until Oct 1, 2018. The revised, final draft is posted below. It represents the committee’s findings and evaluation of the master plan. At the league meeting on Oct 1, we passed this motion: “That the League allow the Board to have the authority to approve the submission of the final Brief to the City of Edmonton, for the purpose of information sharing, on the League’s behalf.” The board had a week to read the brief and 3 days to consider the voting question. That question was: "I approve the submission of the final brief prepared by the Dawson Park/Kinnaird Ravine Committee, as is, to the City of Edmonton, for the purpose of information sharing, on the League’s behalf." The vote was very close but the motion was defeated, which means that board approval (on behalf of the league) is not granted. The brief will be sent to Councillor McKeen from the committee alone, and the league president has sent a separate letter on behalf of the league. To share feedback, questions, suggestions or concerns with the committee or the league, please use the "general inquiries" function on our contact page.